This beautiful shorefront lot is just waiting for your DREAM home or cottage ideas. With 1 acre & 170’ (+/-) of waterfrontage, a driveway, well & power, most of the preparations have been done for you! 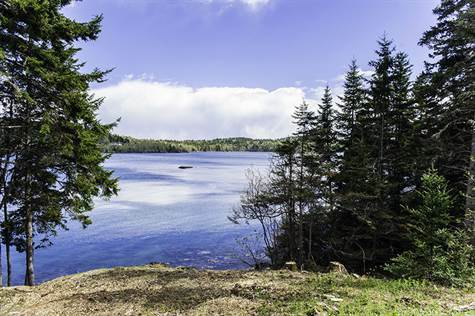 The lot is very private & secluded & fronting on Harbour de Lute means fresh clams for dinner is in your future! An outbuilding with composting toilet & sun shower is already installed for convenience. Located on beautiful Campobello Island, NB which is home to the Roosevelt Campobello International Park, the Herring Cove Provincial Park & the picturesque West Quoddy Light House & is connected by an International bridge in Lubec, Maine. Cool Summer Breezes are free! Come see what Island-Coastal Living is all about! Please Note: Protective covenants apply to this land parcel.